It was a fun bracelet to work on. 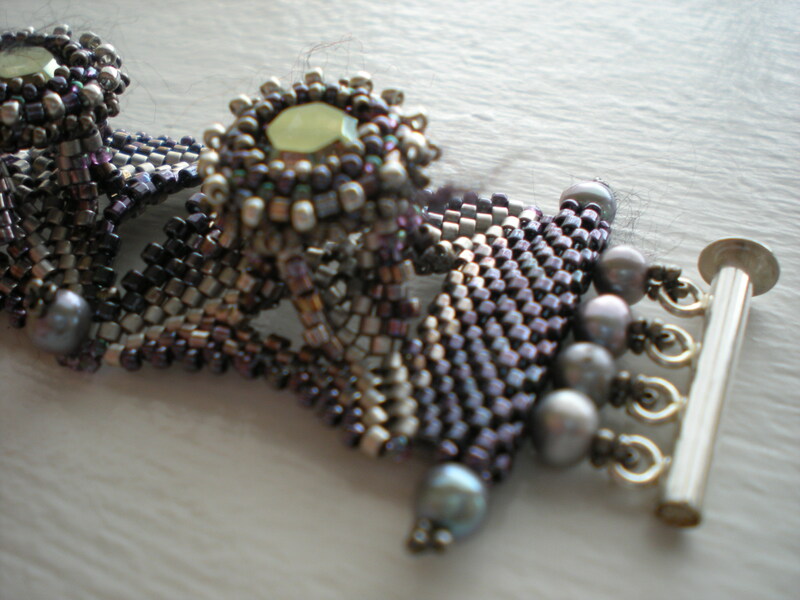 The beadweaving techniques are very structural. The Eiffel Tower base builds up to form four peaks by altering the number of beads on your thread. During the first unit I was sure that I was doing something wrong. However, everything fell right into place. I must compliment Laura’s instructions, they were very easy to follow. 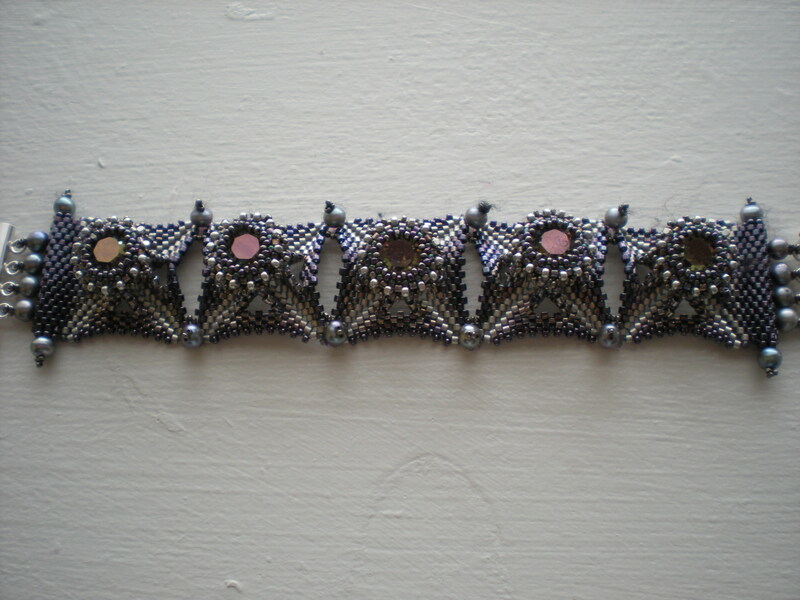 The clasp was the most difficult aspect to complete. 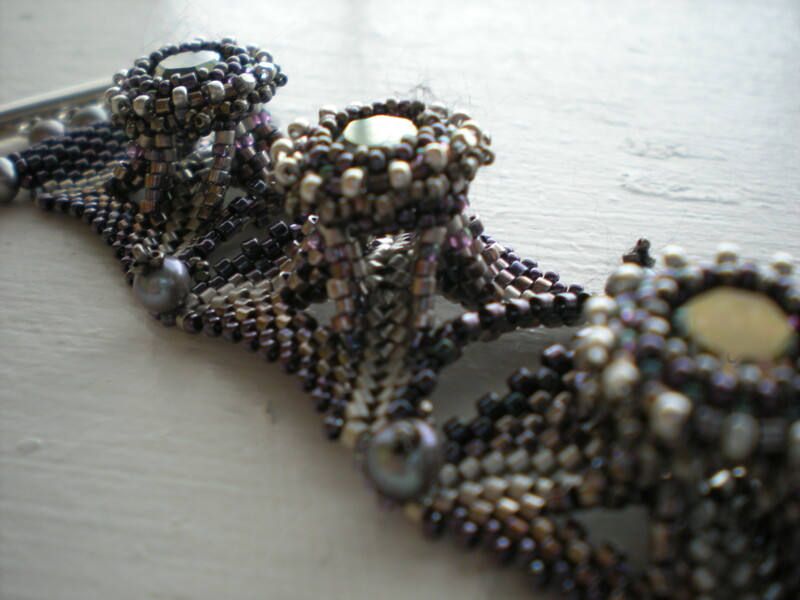 First, there isn’t much room to work and there is alot of going in and out of the same beads several times. I only broke two needles though! Very impressive. Looks like a fun project. Awesome. Really like it ! !